Some of the top accused in the 2G spectrum case will finally be able to walk out prison—at least for the time being. On Wednesday the Supreme Court has granted bail to five accused who had spent some seven months behind bars. They include Sanjay Chandra of Unitech, Vinod Goenka of Etisalat DB, and Gautam Doshi of the Reliance Group. 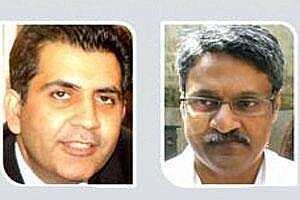 The other two released were Hari Nair and Surendra Pipara, who are also Reliance Group executives. All five men had to provide a Rs5 lakh surety to get bail. But the Supreme Court made it clear the CBI could ask for the cancellation of bail if the accused did anything to hamper investigations. Five accused in the 2G case get bail; rupee holds up to the dollar; markets fall after Tuesday’s gains. In other news, the rupee is finally on something of a rebound. India’s currency finally showed some strength during Wednesday’s trade. It closed trade at 52.37 to the dollar. The weakening rupee made gains thanks partly to companies selling dollars. But investors suspect RBI also played its part through currency trades.